My obsession for Charlotte Tilbury is going strong. Seriously, everything I try, I fall in love with and it quickly becomes my new go-to. I had been using another bronzer for years, but recently made the switch to this bronzer/highlighter combo. I’ve never been a highlighter person, but after playing with it, I loved the way it looked and gave such a natural glow! It’s a great product to have, especially for days you want to keep it minimal. But don’t worry, it can easily be glammed up for those nights out! 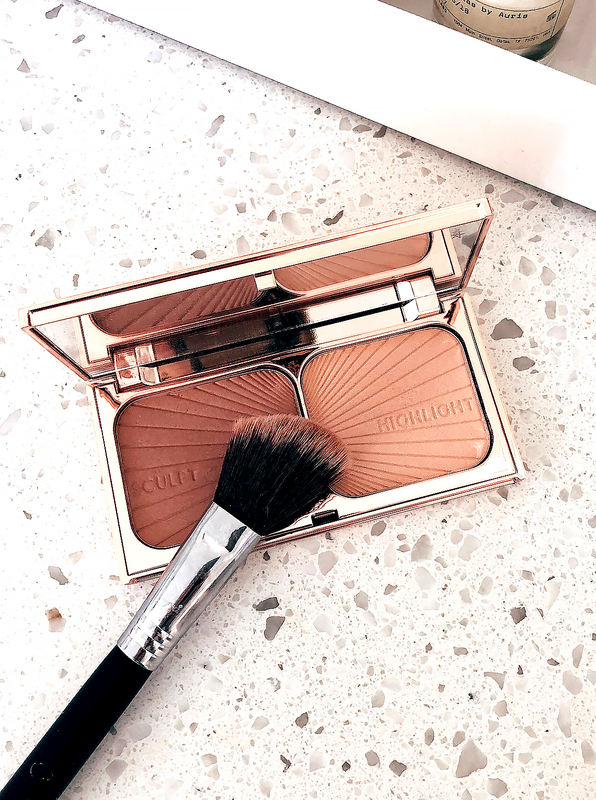 Editor’s Note: Linking a few other favorite Charlotte Tilbury products.